Jim Regitz is the Founding Partner and a Senior Advisor at Newport Advisory. 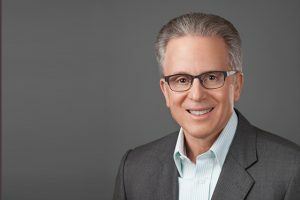 He started his career in 1984, with Cigna Financial Advisors (now Sagemark Consulting) where he ultimately advanced to the position of Regional Vice President while maintaining his successful role as a financial advisor. In 1995, Jim left the corporate world to become a truly independent financial advisor offering comprehensive management to his clients. 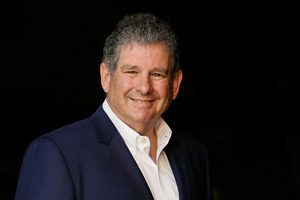 For his entire career, Jim’s mission has been to help clients utilize their resources in order to pursue their passion and live a life of meaning. Newport Advisory embodies that mission. Jim oversees the strategic direction of the firm, while continuing to work with his long-time clients. Jim graduated from Pepperdine University with a degree in business administration. He earned his Chartered Financial Consultant (ChFC) designation from The American College in Bryn Mawr, Pennsylvania. 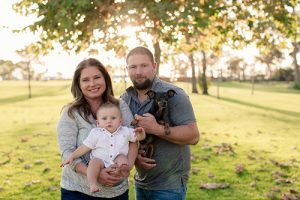 A resident of Eastside Costa Mesa, Jim’s main focus is on his children, Trey and Emily, and keeping up with their school, sports and social activities. He aims to instill in them the same mid-western values with which he was raised (his family moved from Chicago to California when he was in elementary school). In his free time, Jim coaches football and enjoys indoor and outdoor cycling, photography and traveling to tropical getaways. He’s an avid sports fan and can often be found cheering for local football teams, the Chicago Bears and the Los Angeles Angels. 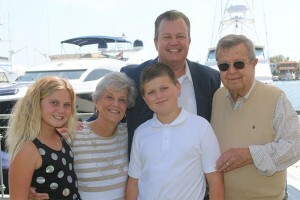 Jim and his family belong to the Balboa Bay Club and are active members of their church. 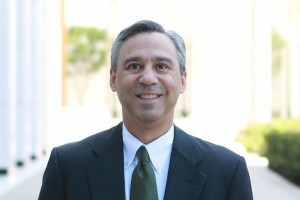 David Meltzer has been a financial advisor for more than 34 years. He started his career with Cigna Financial Services where he was inspired by the “serve first” philosophy of Stuart Smith. David is committed to helping people understand capital and how it can be used to improve the quality of life and to create legacies. In 2001, he founded David Meltzer & Associates (now part of Newport Advisory). The mission of the company was to provide objective financial advice without conflicts of interest imposed by insurance companies, banks or brokerage firms to sell products. Throughout his career, David has assisted his clients in establishing financial security and has helped ensure a smooth transition of their capital to family members, businesses or charities. The basis of his advice is to promote an understanding of company and personal cash flow. David has a Bachelor of Science degree in Music Education from the University of Bridgeport. He loves jazz and played saxophone, clarinet and flute professionally until he was 26, touring with professional groups which included the Glenn Miller Orchestra. David is a Chartered Financial Consultant (ChFC) and Certified Life Underwriter (CLU). His commitment to philanthropy is implemented through his donor advised fund, which provides grants to many charitable organizations committed to healing the sick and feeding the hungry. Married for 34 years, with a wonderful son, David enjoys spending time with family and pursuing his passion for cycling, yoga, and antique toys. Aileen is a Partner and Senior Advisor at Newport Advisory. As a CERTIFIED FINANCIAL PLANNER™ professional and Accredited Investment Fiduciary®, Aileen is an award winning Wealth Advisor* with over 20 years of experience in tax, financial and estate planning. Aileen is committed to providing holistic, objective fiduciary advice, always putting the client’s interests first. An experienced retirement planning specialist with additional expertise in estate planning, Aileen is passionate about helping clients achieve their personal financial goals and maintain their lifestyle throughout retirement. Aileen, along with the entire Newport Advisory team, strives to understand clients’ overall financial situation in order to provide the appropriate comprehensive wealth management strategies. Aileen graduated with a degree in business and economics from Westmont College in Santa Barbara and currently lives in South Orange County with her husband, Kevin. She volunteers on several boards, including a dog rescue organization and a local hospital foundation. Aileen also enjoys mountain biking, hot yoga, reading and traveling abroad. *Five Star Wealth Manager 2015, 2106 – Awards are based on ten objective criteria associated with providing quality services to clients such as credentials, experience and assets under management among other factors. Wealth Managers do not pay a fee to be considered or placed on the final list of Five Star Wealth Managers. To receive the Five Star Wealth Manager award, individuals must satisfy a series of eligibility and evaluation criteria associated with wealth managers who provide services to clients. Recipients are identified through research conducted by industry peers and firms. Third party rankings and recognition from rating services or publications are not indicative of past or future investment performance. For more information, go to http://www.fivestarprofessional.com. 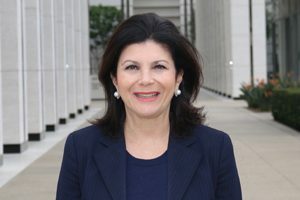 Shelby graduated from Azusa Pacific University, earning a bachelor’s degree in Business Administration in 1996 with an emphasis in finance and a focus in Eastern European Economic Development. At Newport Advisory, Shelby works as a senior advisor, and has earned the prestigious AIF®, CRPC®, and CPFA® designations. 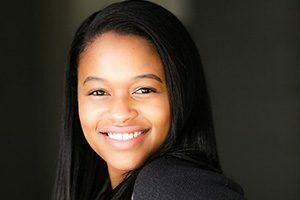 Recently, she was awarded a position on the New Century Council of Cambridge: an exclusive board of advisors that develop innovations in the financial industry. Through a creative lens, the New Century Council of Cambridge looks to the future in order to be on the forefront of technology and planning. Born and raised in San Diego, Shelby now lives in Mission Viejo with her husband and son. She has volunteered for over 15 years at A Wish for Animals, and enjoys deep-sea fishing, hiking, and RV camping with her family. 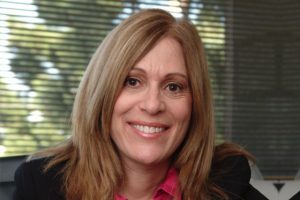 Lisa Hallaian has over 30 years of experience in the Financial Services Industry as both a Financial Advisor and for the last two decades, as an External Wholesaler (Advisor Consultant). Lisa also holds the prestigious and advanced designation of Certified Investment Management Analyst® from the Wharton Business School. As an External Wholesaler, Lisa provided consulting, training and education to Financial Advisors and their clients on complex and comprehensive Investment solutions. She has conducted many investor workshops and seminars on investing, retirement, state of the economy and many other financial pertinent topics. As a Senior Wealth Advisor with Newport Advisory, she looks forward to providing high net worth clientele with the ability to achieve their financial, retirement, and legacy goals using a comprehensive approach by always putting her clients’ best interests first. Lisa graduated with a degree in Finance and Management from Menlo School of Business Administration in Menlo Park, California. She is originally from Los Angeles and has resided in Newport Beach for the last 16 years. 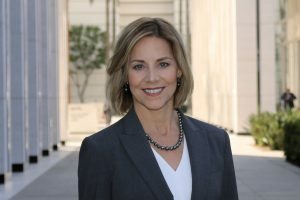 Lisa is currently associated with Junior League of Los Angeles, after serving many years on the board, and Women of Chapmen. She has also served on many other charitable boards including, ATSC (Sophisticates) and Sound of Music (O.C. Performing Arts). 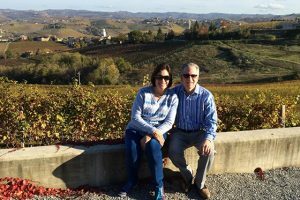 When not focusing on the Financial Industry, Lisa’s passion and interests include, traveling, wine tasting, antiquing, cycling on her road bike, tennis, golf and skiing. She is also a member of The Jonathan Club, The Balboa Bay Club, and Palisades Tennis Club. Mr. Yanelli graduated from Northeastern University in Boston, MA with honors earning a Bachelor of Science degree with a dual concentration in Finance and Management. Since 1990, he has gained experience as an Analyst, Sales Director, and Financial Advisor. Jay has helped his clients, as well as other Advisors, understand the investment & insurance industries. As a Financial Advisor, his vision is to bring clarity and peace to financial matters, so people can achieve their life goals through a long term plan. With the heart of a teacher, Jay strives to be sure his clients understand their investment & insurance options in transparent and easy to understand language. He feels blessed to be able to help people in such an important area of their lives. His caring personal approach, trustworthiness, as well as other qualities, enabled Jay to qualify to become a SmartVestor Pro (formerly the ELP -Endorsed Local Provider – program) for the Dave Ramsey organization. Dave Ramsey is a bestselling author as well as host of a nationally syndicated radio talk show. Being a SmartVestor Pro allows Jay to help people in all stages of their lives. Whether someone is just starting their career, in retirement reworking their financial plan, or somewhere in between; he brings a wealth of experience to help with investments, college planning, retirement planning, and life, disability, and long term care insurance planning. Jay enjoys running (several years ago, he realized a childhood dream and completed a marathon as well as several half marathons), biking, and golf. He and his wife, Kathleen, have three sons and are active members of Cottonwood Church. Mary Dee began her career in the Financial Industry at IDS/American Express. There she learned the value of listening to her clients’ concerns about their financial futures. She has had positions with various broker dealers and has been with Newport Advisory for the past two years. Her main goal is to guide her clients in setting up an income for life that they and their spouses cannot outlive. She also motivates them to take the time to set up plans that will allow them to leave their families and the causes they care about a legacy. Mary Dee has been involved in several ministry activities. 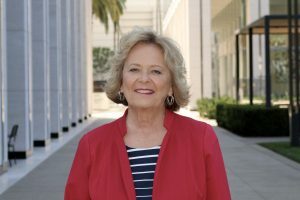 At Trinity Presbyterian Church in Santa Ana, she not only sings in the choir, but also is active on the Mission Stewardship Committee. She also, in January of 2015, took a trip to Kenya, Burundi, and Rwanda with Empower International Ministries. While there, she helped teach sessions for leaders of various churches. While Mary Dee now lives in Tustin, she was raised in Northeast Ohio and earned an Education Degree at The Ohio State University. She also earned a M.A. in Biblical Studies at the International Graduate School of Theology. 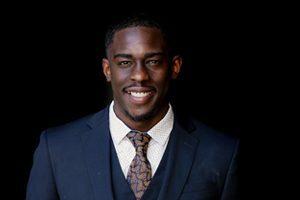 Chris Richards started his career in financial services in 2011, and joined David Meltzer & Associates (now part of Newport Advisory) in 2014 as a portfolio analyst. In life and in business, he is guided by the principles he was raised with – honesty, humility and hard work. His goal is to ensure that all who work with him – clients and colleagues – have a great experience. Chris earned a BA in history from Stony Brook University in New York, which he attended on a football scholarship. After college, he spent a year with the Seattle Seahawks as a practice team player. When not working, Chris is actively involved with Plays & Grades, Inc., a non-profit organization connecting athletics and education, started originally by his parents. Sheri Huff specializes in benefit plans. 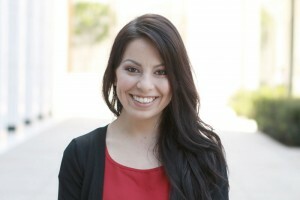 She brings a wealth of experience in assisting clients with a diversified range of needs, including ACA implementation. Currently, licensed in Medical, Life, Disability, and Long-Term Care, Sheri creates customized benefits plans that maximize value with coverage. She is available to assess Medicare beneficiaries personal healthcare needs and identify Medicare plans that match those individualized requirements. Sheri is also certified to sell California health exchange based medical plans for both individuals and small businesses. Having the additional designation of CLTC – Certified in Long-Term Care – she has the unique expertise to handle the difficult task of Long-Term Care planning, a growing need in today’s world. With over 20 years of business experience, Sheri joined Newport Advisory in 2012. Prior to joining Newport Advisory, Sheri worked at FutureNest creating diversified benefit plans for businesses and high net-worth individuals. 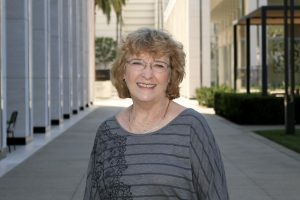 Previously, she held various management, marketing, executive education, and technical positions with IBM Corp.
Sheri received her Bachelor of Arts degree in Mathematics from University of California, Los Angeles. She also holds a Master of Business Administration degree from Pepperdine University. When she’s not at the office, Sheri’s spending time with her husband and their five children walking the wetlands, hiking, or camping. Insurance Licenses: CA #0G88579, OR #758781, WA #762448. Michael Lathrop has been with Newport Advisory since 2012, assisting in the research, analysis, and investment management processes. As a sophomore in high school he earned the rank of Eagle Scout. He enlisted in the United States Marine Corps immediately after high and served six years as a Field Radio Operator out of Camp Pendleton, California. 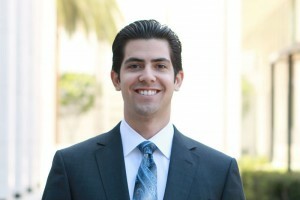 He graduated from Chapman University with a Bachelors of Arts in Economics. Michael credits his background with teaching him the discipline required to excel under pressure and strong leadership skills. Early in his studies, he discovered his passion for financial markets and dedicated himself to learning about the markets. Michael spent significant amounts of his time outside the classroom teaching himself econometrics, statistics, financial analysis, and portfolio management. Michael currently resides in Orange County, California. When he is not in our Newport Beach office, his hobbies frequently keep him outdoors. He enjoys skiing, hiking, dirt biking, and hockey. Michael played hockey in high school, and briefly for Chapman University. Michael is a big Anaheim Ducks fan, and continues to play locally in a casual recreational league. He remains an avid reader and tries to finish a book every two weeks. Allison Riley began her financial services career in 1986, at Cigna Financial Services. While there, she completed the requirements for the Paraplanner certification. 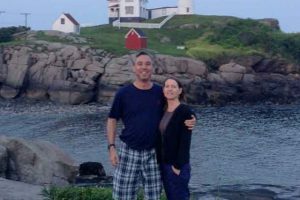 It was at Cigna that Allison met David Meltzer and joined him when he started his own firm in 2001, David Meltzer & Associates (now part of Newport Advisory). As Director of Operations, she has handled a variety of duties and responsibilities over the years, including human resources, office management, bookkeeper and financial planning production. Allison is passionate about natural health and healing, and earned a BS in Natural Health from Clayton College in 2003. 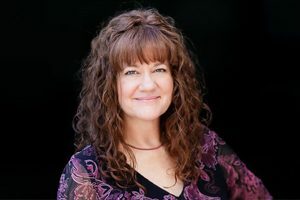 An avid reader, she also enjoys yoga, pursuing her interest in spirituality and healing, and spending time with her family, including two grown sons and three grandchildren. Anju has been with Newport Advisory since July 1, 2013 as a Client Service Specialist and also serves as Executive Assistant to Jim Regitz. 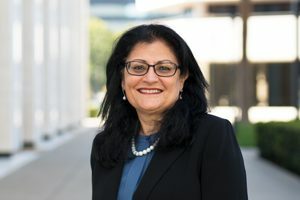 Anju started her career in the legal field following her education for a BA in Political Science in 1980. She worked several years in a K-Street Washington DC law firm before moving to Columbus Ohio with her family and newly born son. There she matched up with an estate planning/title insurance attorney and had a long career leading up to her status as a Paralegal. Next Anju moved to Southern California in 2002 and worked in a financial planning firm before joining Newport. She attained her Series 7 and Series 66 in 2008. She is a notary public. She recently obtained the Registered Paraplanner (RP®) designation. When not trading or finance-analyzing for Newport Advisory clients, Anju enjoys spending time with her family. She has a passion for knitting, and she enjoys Bollywood movies with friends. Outdoors, she is a budding golfer, thanks to her golfing husband and son. She also loves to read and listen to music. Client Services Specialist and Agent working background of 30+ years in individual and group insurance services. I enjoy the ever changing world of financial products, service challenges and the rewards of working with clients in both the individual and business markets, connecting the client with the right product and customer service to meet their expectations. I am married with two grown daughters and one granddaughter. Being the eldest of 9 siblings, family has always been a major priority and influence in my life. Registered Representative with Cambridge Investment Research, Inc., California Life and LTC insurance licenses. Peter is a Senior Financial Advisor at Newport Advisory. Peter has extensive financial services experience having held positions with Wells Fargo and Accenture. He also co-founded Achex, an online payments company. Peter enjoys a variety of outdoor activities, including a morning boot camp in a local park. His hobbies include iPhone photography and travel. In his free time, he enjoys teaching and volunteer work. U.C. Berkeley has recognized Peter with the Golden Bear Award for outstanding commitment to the Personal Financial Planning program. The Haas School of Business has presented Peter with the Leading through Innovation Executive Award for his advisory board work. Ed is a Senior Wealth Advisor at Newport Advisory. Ed holds designations as a Certified Financial PlannerTM professional and is a member of the American Institute of Certified Public Accountants (AICPA). In addition, he has the AICPA designation of the Personal Financial Specialist (PFS). Ed has been working with Newport Advisory since 2009 and knows his clients are well served under the Newport Advisory umbrella. Prior joining Newport Ed was the founder and president of FutureNest, Inc., a firm that he ran for over 10 years. For more than 20 years clients have been trusting Ed to provide comprehensive financial services. Ed was also a co-founder and partner of Huff & Marshall, CPA‘s, specializing in tax and accounting. 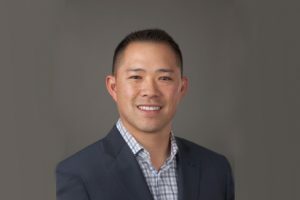 He began his accounting career working with the Big Four Accounting Firm of Deloitte Touché Tohmatsu, Ltd., and began his tax career as a Senior Tax Advisor with the California Franchise Tax Board. Ed earned a Bachelor of Science in Business Administration and a Master of Science in Business Taxation. He currently holds FINRA Series 6, 7, 63 and 65 licenses. Ed enjoys spending time in Southern California and in the San Francisco area where he currently lives with his wife Debra. In addition to traveling they enjoy attending cooking classes and baking bread from scratch. Ed’s other hobbies include making stained glass projects, biking and going to the gym. Rick is a Senior Financial Advisor at Newport Advisory. Rick works closely with Peter Philipp to develop and implement investment strategies for institutional clients, business owners and high-net-worth individuals. Rick has had a life-long passion for travel, whether domestic or international, and has visited over 35 countries. Having grown up in the Midwest, he now enjoys California’s mild weather and wide variety of outdoor activities. As an Accredited Investment Fiduciary (AIF), Rick performs investment research, product selection, and ongoing monitoring. He holds the Registered Representative and the Investment Advisor Representative registrations by having passed FINRA’s Series 7 and Series 66 exams respectively. Eric Hon serves as a Senior Wealth Advisor at Newport Advisory. 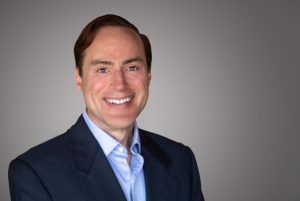 Prior to joining Newport Advisory, Eric managed a team of advisors at Merrill Lynch Wealth Management, one the world’s largest and most widely recognized brokerage firms. Eric has also served as Sr. Wealth Manager and financial planning specialist at a boutique $300M+ financial advisory firm in the bay area. Eric specializes in working with individuals nearing or in retirement, as well as successful professionals who are in the medical profession including physicians, dentists, pharmacists, and nurses. Eric is proud to serve successful millennial families who are seeking advice on financial planning topics such as preparing to start a family, college planning for young children, and ways to maximize their employee benefits at work to name a few. Eric serves as an instructor for the U.C. Berkeley Financial Planning Program. He is an active member of the Financial Planning Association as well as the AICPA Personal Financial Planning Association. Eric enjoys giving talks across the country to millennials on the importance of having good personal finance habits at a young age to achieve personal financial success. Eric earned his Certificate in Personal Financial Planning (“CFP®”) w/ distinction in 2013. The CFP® certification is a voluntary certification; no federal or state law or regulation requires financial planners to hold CFP® certification. It is recognized in the United States and several other countries for its: (1) high standard of professional education; (2) stringent code of conduct and standards of practice; and (3) ethical requirements that govern professional engagements with clients. To attain the right to use the CFP® marks, an individual must complete an advanced college-level course of study that includes the following subject areas: insurance planning; risk management; employee benefits planning; investment planning; income tax planning; retirement planning; and estate planning. When not advising his clients, Eric loves to give back to his bay area community. He shares his entrepreneurial passion by being a role model within the Asian American community and by producing positive change and inspiring others through teaching and mentorship. In his free time, he loves catching up with his Golden State Warriors and San Francisco Giants teams. He runs a small Michelin star restaurant and traveling club where they participate in monthly activities to explore new dining and travel experiences around the world. 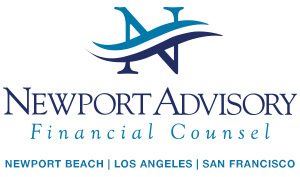 Brian has been a Financial Advisor with Newport Advisory since February 2008. Since joining the firm, he has attained his Series 7 and Series 66. 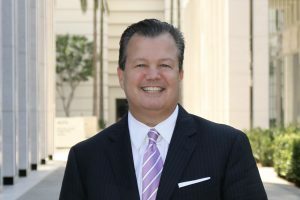 After receiving a degree in Business Management from UCSC (2000), he started his career in finance and banking working for Wells Fargo and Golden West Financial (formerly Wachovia). Brian is a native of San Francisco and continues to work and live in the city. Outside of the office, Brian enjoys coaching his son, Jackson, little league teams, taking his daughter, Zoe, horseback riding, and playing golf with his wife, June. Family trips usually involve and outdoor activities such as hiking, swimming, or camping! *David A. Meltzer was the founding partner of David Meltzer & Associates, Inc. which was acquired by James W. Regitz, Jr. in 2017.